Now that winter is upon us with its colder, drier air, maintaining ideal home humidity can be a challenge. Cold air is drier because it can’t hold much water vapor. Add to that artificial indoor heating and your home can often feel like an arid desert. The result is reduced living comfort inside your home with dry, itchy skin and dried out nasal passages that can make you more susceptible to colds and other illnesses. Dry air also makes you feel colder, just like humid air makes summer months feel hotter. Low indoor humidity also affects the health of your house. When the humidity in your house is too low, it causes static electricity that not only causes painful shocks but can also damage computers and other electronic equipment. 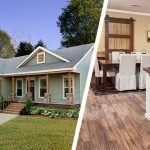 Hardwood floors and trim work can contract and separate, paint dries and chips, and Floors may “creak”. If you are experiencing any of the above symptoms, a properly sized humidifier is probably needed to bring the homes humidity to the proper level. Depending on your homes location and your family’s lifestyle it is also common to have too much humidity in your home. 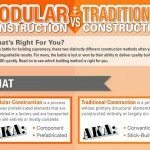 With today’s modular homes being built to a much higher level of energy standards, this tighter construction doesn’t allow the free escape of moisture as homes built in the past did. If indoor humidity is too high, condensation or ice can accumulate on windows. Excess moisture can also collect in walls, basements, and attics, leading to mold and mildew which is not only detrimental to your health but also could cause building materials to rot resulting in costly repairs. 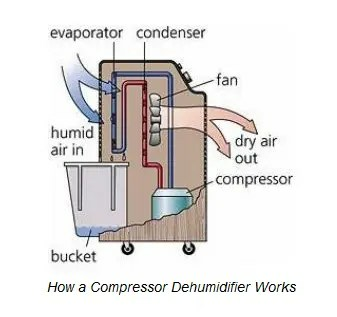 If you see moisture or “condensation” on your windows, a properly sized dehumidifier is probably needed to bring the homes humidity to the proper level. 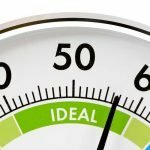 So what should humidity be in a house? The answer is that it varies from house to house. As a general rule Ideal home humidity should be at 40 – 50% but during the frigid Indiana winters when outside temperatures drop down to 0 to 20 degrees, many experts say indoor humidity should be between 25% – 35%. 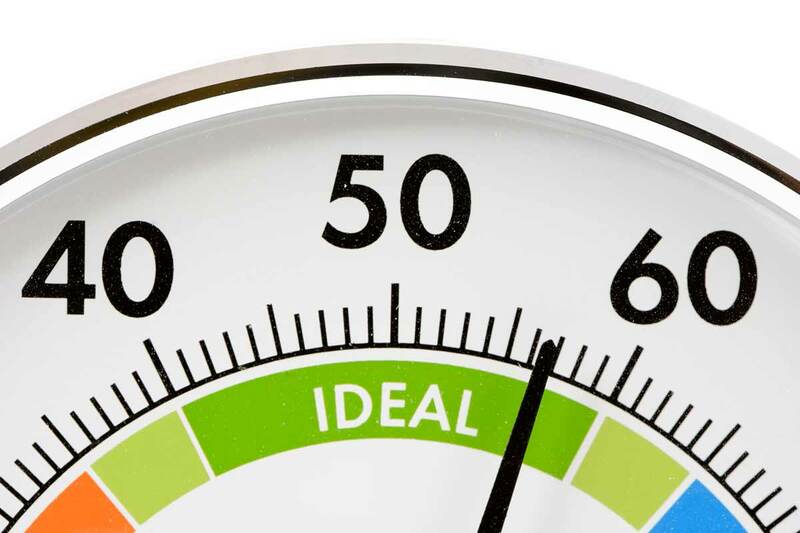 The humidity level in your home can be measured using an inexpensive hygrometer that can be purchased in most hardware and home stores. The easiest and most efficient way to achieve comfortable humidity is to use a home humidifier or dehumidifier as needed. They come in a wide variety of types, sizes, and prices. Small portable humidifiers/dehumidifiers are used to hydrate/dehydrate a single room and can be easily moved about. Console units are larger and intended to add or reduce moisture to the entire house. When purchasing a portable or console unit, be sure the one you select can accommodate the square footage you intend to humidify or dehumidify. Our home manufacturer provided the guidelines below as a general rule based upon outside air temperatures. Remember this is only a guide as all homes vary depending on other conditions but as a good rule of thumb, if condensation forms on your windows, the humidity is too high. Maintaining comfortable humidity also has financial benefits by saving you money on heating bills. Because more humid air feels warmer, therefore, you can set your thermostat lower and still feel comfortable. Your home’s construction also contributes to your humidity and comfort level. Tight construction, good insulation, and quality windows all help to keep dry, cold air out of homes and help retain comfortable indoor humidity in the winter. Houses built by Sherlock Homes are built designed to withstand harsh Northern Indiana winters with durable building materials, tight and solid construction, maximum insulation, and quality thermal double pane thermal windows to keep your home warm and comfortable; plus many other quality features to ensure your Sherlock Home stays cozy and beautiful for a lifetime.